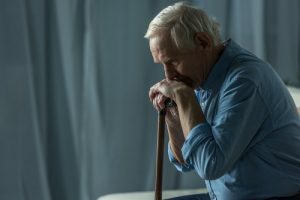 When is a California Conservatorship Necessary? 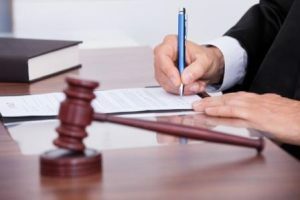 Probate and trust attorney explains the types of California conservatorships; why they are necessary; when they are necessary; and the legal documents needed to avoid the need for a conservatorship. 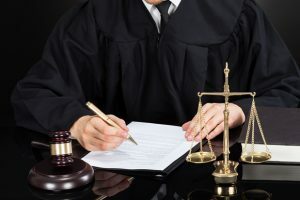 A California conservatorship at its core is where you have to have the judge in the county where you live step in and appoint someone to make decisions for an individual. Now you may ask: why would a judge need to step in to appoint someone to make decisions for an individual? This is when that individual no longer has the capacity or the ability to make decisions for themselves. There are two types of conservatorships. One is the conservatorship of the person. This is where someone does not have the ability to make medical decisions for themselves, living decisions for themselves, or have the ability to provide care themselves – maybe they are not cleaning themselves properly or able to get food or take medications. The other type of conservatorship is the conservatorship of the estate, and that is their assets. This may be where they are unable to avoid undue influence – somebody is taking advantage of them or they are simply unable to understand their bills and pay them adequately and finance their life. So the court will step in at this point and appoint someone to make these types of decisions for that person. Many clients ask me, when is a conservatorship necessary? There are two sorts of situations that I find clients in. The first is they have estate planning documents in place. 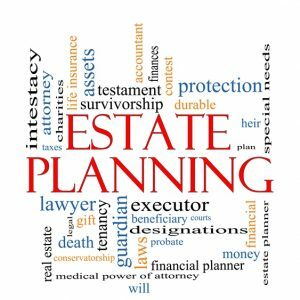 When I say estate planning documents I mean a trust document – a revocable trust, a durable power of attorney or any sort of power of attorney, an advanced health care directive or power of attorney for health care. All of these documents do different things. I like to think of them as three columns that we have. We have conservatorship of the person. This can be replaced by an advanced health care directive – a document which nominates someone to make decisions for you personally with respect to health care. Conservatorship of the estate handles assets that are in someone’s individual name. Those assets could also be, instead of a conservatorship, taken over by an agent under a durable power of attorney. And the third are trust assets. A trust is literally its own legal entity. When it holds assets the only person that can exercise any control is the trustee. Theoretically you could be in a situation where you have no conservatorship because you have a client who has a revocable living trust that handles the trust assets, they have an agent under a durable power of attorney that handles the personal decisions in finances in the individual’s name and they have an advanced health care directive which handles all of the medical decisions. Where people do not have estate planning documents at all. Your only option is a conservatorship in order to take over those assets or make medical decisions. The second situation I see when those documents simply do not have broad enough powers or maybe you are getting a lot of pushback from that individual who believes they have the capacity and you need to take away that power from them either for their safety or for your concern for their safety. Jennifer F. Scharre is an attorney at the San Jose law firm, Temmerman, Cilley & Kohlmann, LLP. She provides representation in estate planning, conservatorship matters, guardianship matters, and trust and estate administration and litigation. Jennifer may be reached at 408.290.7210 or www.tcklawfirm.com. Kathleen Daniels specializes in probate real estate which includes selling a home under a California conservatorship. If you need help selling a home give Kathleen a call. She may be reached at 408.972.1822.